The Marine Park and Reserve is renowned world wide for its natural beauty and boasts a rich marine life from the visiting Whale Sharks and Manta Rays to three species of Sea Turtle. Pristine white-sand beaches and reef-protected lagoons line the Watamu National Marine Park and Reserves, which are the oldest in East Africa and cover over 229 kmsq. It is one of the best kept secrets in the world with only the Great Barrier Reef itself having a bigger species list and that only in a far greater expanse! 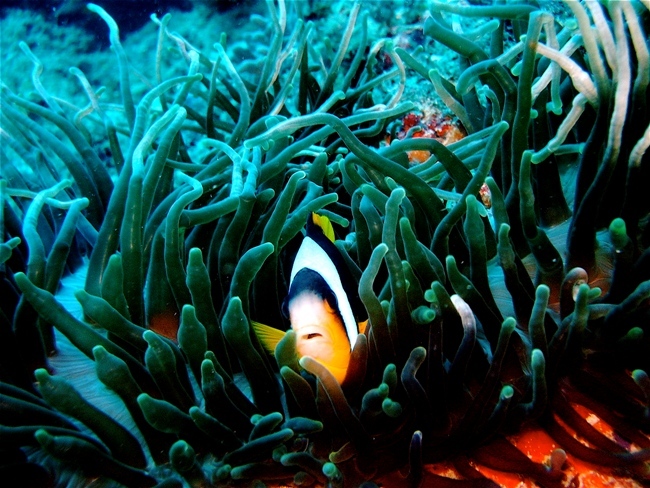 The marine protected area in Watamu is also recognized internationally as a UNESCO Biosphere Reserve. This means that the area is designated as a site of natural excellence, and should demonstrate how local people and the environment can coexist through careful stewardship of our natural marine resources and human assets. The Marine Park and Reserve is renowned world wide for its natural beauty and boasts a rich marine life.It is virtually impossible to snorkel without seeing at least a few dozen species inside the main reef; divers outside the fringe reef stand an excellent chance of viewing the magnificent whale shark and Manta Rays that are seasonal visitors. November is best for spotting these animals. The Park is also home to three species of sea turtle who also nest on the Marine Park beaches. 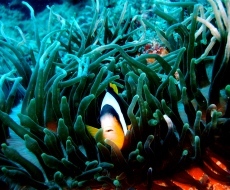 The Park and its coral gardens are one of the main justifications for visiting Watamu. Some of the more commonly seen fish include of course the parrotfish, whose digestion of the coral reefs over the millennia, have produced the white sand beach itself. Angelfish, groupers, filefish, lionfish and snappers are just a handful of the easily seen species within this superb, brightly colored underwater world. One of the best routes for a snorkel exploration is a gentle swim to the Larder in Turtle Bay. Head out in between the two rocky islands directly south of the KWS Blue Bay HQ. As you swim over the eroded coral ledges there are numerous damselfish, young butterfly and angelfish, morays, groupers and octopus. Through the seagrass pass you'll find blue spotted rays, mullet and snappers. Once you get to the edge of the grass area, around 100metres out, turn right and follow the grass edge along its contour line. After about 100m you'll find the Larder to your left; a series of 6 or so large coral heads which are the home of hundreds of sweetlips, snappers and drummer fish. You'll also find lionfish and crocodilefish if you look closely. Another bonus here are the large barracuda which hang around near the seabed in large groups. They are nocturnal feeders and sleep during the day so are easy to approach. There is an exceptional shoreline with Watamu voted one of the top ten beaches in the world; steeped in natural fauna and flora and with three stunning bays, Watamu, Blue Lagoon and Turtle Bay.